Christmas is one of the best times of the year and I am one of those who really enjoys it and gets very excited for it. One of my favourite bits is decorating the house and sort of creating that special Christmas atmosphere. However, even though I love all the traditional Christmas decorations, this year I wanted some minimal decoration just to change the vibes a little bit. 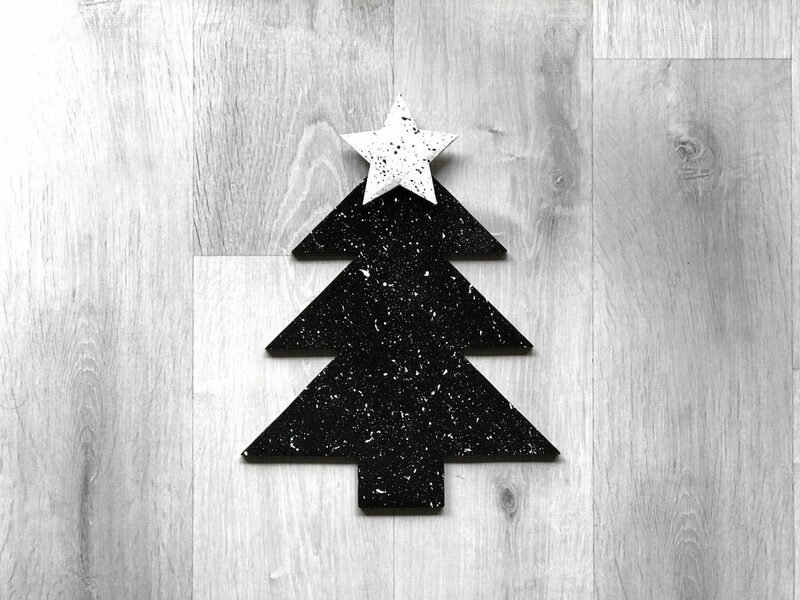 It may seem something very easy, but it is actually quite hard to find nice minimal Christmas decorations, especially if you don’t want to spend too much money on it. I feel like the first thing you think of when someone talks about Christmas decorations are Christmas trees. I really wanted a small one for my room, and I thought Pinterest could be a great inspiration to DIY one, as I knew finding one would be impossible. Thanks to that inspiration, and my own ideas I came up with the tree I am showing you today, which looks quite cute in my opinion. The first thing you need to do is drawing your tree on a piece of wood. You can be very creative here, but I opted for the easiest one, to be honest, as I am not very good at drawing. I have also seen some made of Styrofoam, which may be easier to cut and shape. Now you need to cut your wood with a saw and file the sharp edges. You can also make the star this way, but I think it is just too complicated for me, so I bought one. They are quite easy to find, in fact, mine was a bauble. I decided to paint it all in black and white because I wanted it to be very minimal and monochrome. However, my paint was a bit shiny, which I personally really like. 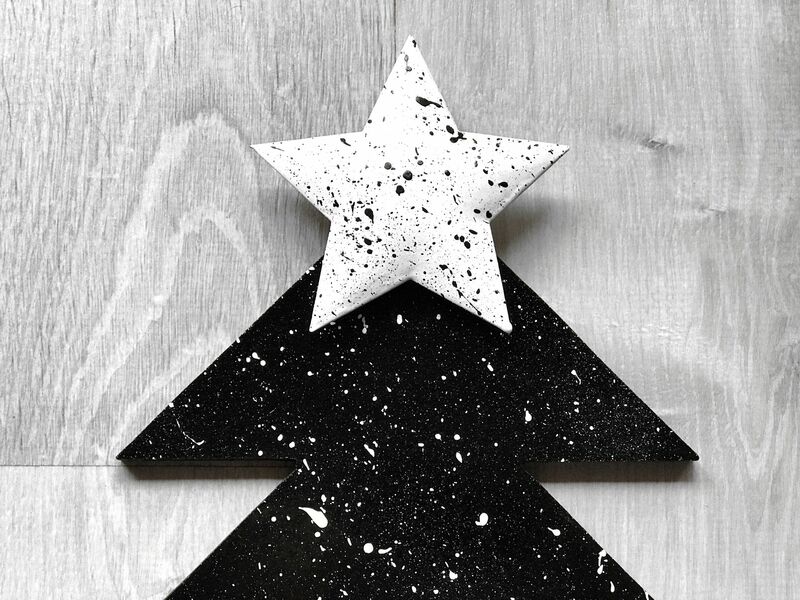 Once I had painted the tree in black and the star in white, I decided to splatter some paint over it. 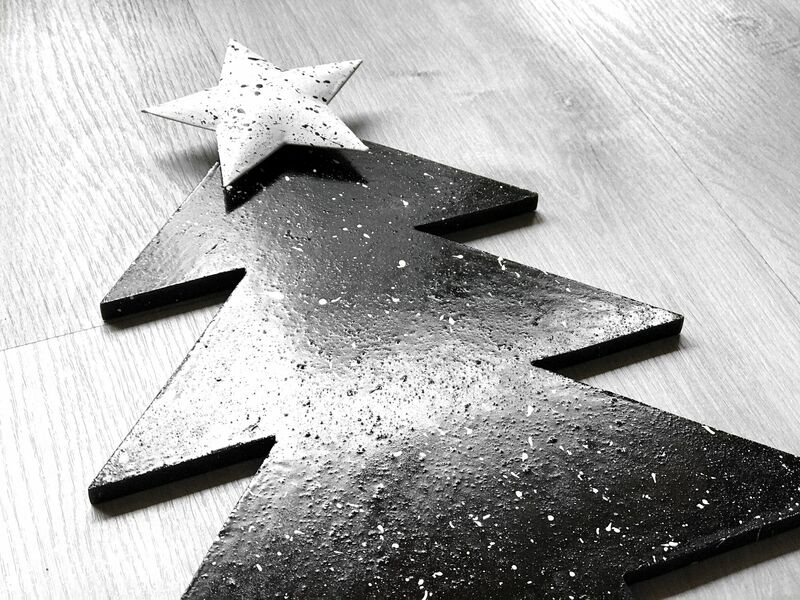 I splattered white paint over the tree and black paint over the star, and I am very happy with the result. After this, the only thing you need to do is glue the star on top of the tree. This is a very easy DIY that everyone can do, and I think it is perfect to hang up on a wall or just put it on a shelf during Christmas. I think it is also great for those people who prefer subtle decorations over the traditional ones. What do you think about it? If any of you try to make one or has already made one share it with me, I would love to know how creative you can be. This is such a cute and easy DIY!